Simox is a lightweight platform independent C++ toolbox containing three libraries for 3D simulation of robot systems, sampling based motion planning and grasp planning. The Virtual Robot library is used to define complex robot systems which may cover multiple robots with many degrees of freedom. 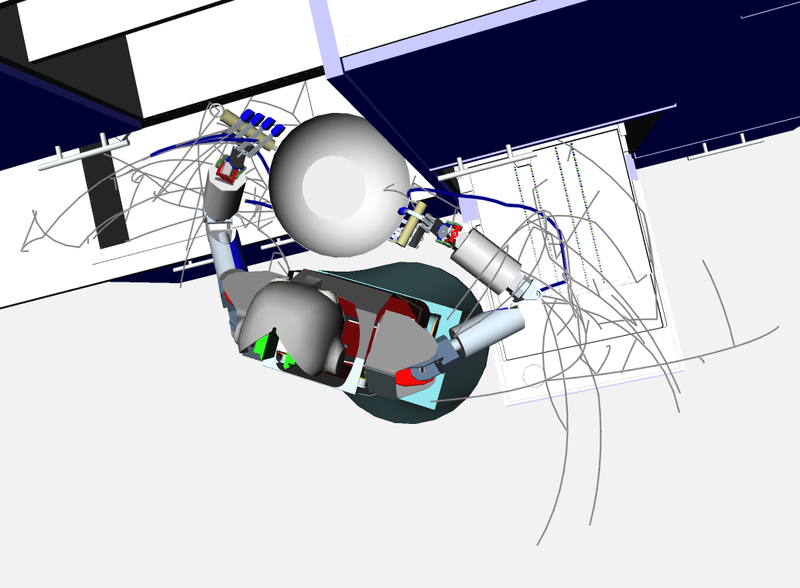 The robot structure and its visualization can be easily defined via XML files and environments with obstacles and objects to manipulate are supported. The libraries Grasp Studio and Saba use these definitions for planning grasps or collision-free motions. State-of-the-art implementations of sampling-based motion planning algorithms (e.g. Rapidly-exploring Random Trees) are served by the Saba library which was designed for efficient planning in high-dimensional configuration spaces. The library Grasp Studio offers possibilities to compute grasp quality scores for generic end-effector definitions (e.g. a humanoid hand). The implemented 6D wrench-space computations, offer the possibility to easily (and quickly) measure the quality of an applied grasp to an object. Furthermore, the implemented planners are able to generate grasp maps for given objects automatically.